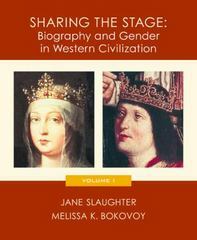 Sharing the Stage 1 Edition This chronologically arranged reader, designed as a supplement for the introductory western civilization course, centers on gender issues and women's history by including biographies of one man and one woman per chapter. Each chapter also includes background on the political and social climate of the period. The reader addresses three major teaching problems often found in the Western Civilization course: how to integrate women's history into traditional political and social narratives; how to explain to students that gender operates historically and that gender norms and constructs apply to both men and women; and how to capture and maintain student interest in distant events that seem to have little relevance to their lives.